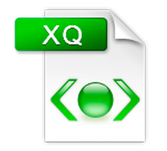 XQuery is a query-based language which helps to retrieve data that is stored in the form of XML. XQuery is related to XML whereas SQL is related to a database. This tutorial deals with the entire basic components of XQuery with suitable examples. This tutorial is specially being prepared for the beginners to make them to understand the basic concept that is related to XQuery. It provides thorough understanding on XQuery from where you can take yourself to a higher level of expertise. Before entering into this tutorial, you should have a sound knowledge on XML and XPath.